In the past decade, the life settlement industry has come to the forefront. What once had a little relevance among seniors is now becoming one of the most sought after alternatives when people think about selling their policy. However, life settlement transactions are still carried out over the counter, and there is no central body that governs the entire system. While a life settlement transaction primarily takes place between the seller and buyer, it’s mediated by two systems- brokers and life settlement providers. While brokers are individuals who mediate the transaction between the seller and buyer, providers are companies that often are buyers of the policies too. This confuses many people as to whether they should go to a broker or life settlement providing company. Experts say that a transaction conducted with the help of life settlement providers is better than going to a broker. Here’s a list of reasons why this notion is true. The biggest headache for policyholders when carrying out a life settlement transaction with the help of brokers is that they charge commission. Since there is no central body governing the life settlement transactions, brokers had been charging almost about 30% of the life settlement as their commission fee. This is why people prefer going to a life insurance settlement company rather than a broker. However, if you still decide to work with a broker, make sure you ask them about the commission that they intend to charge. According to the latest regulation, a broker or an establishment is not supposed to charge more than 30%. It’s generally better to work with a life insurance settlement company provider since they are regulated by the state. When you visit the website of a life settlement provider, you would be able to check if the provider is licensed to carry out a life settlement transaction in your state or not. However, when we talk about brokers, it’s not as easy to find out whether they hold a license or not. Brokers don’t always follow the approach of a transparent transaction. This makes it a little tricky to work with life settlement brokers. 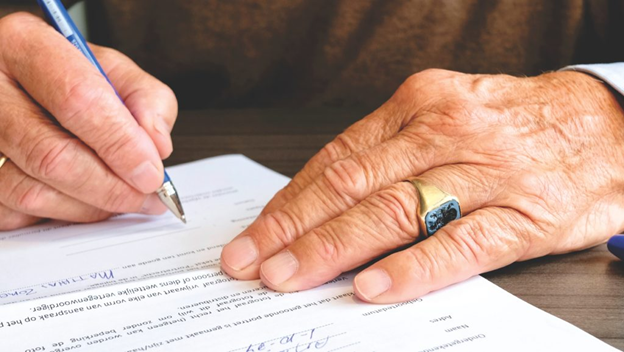 While brokers charge a commission when they carry out the transaction process for you, a life settlement provider may also charge some additional fee for gathering all the needed info and assessing them. However, since life settlement providers have to maintain records and report to the state as to how many policies the providers have bought in a year in order to maintain these reports for them to be consistent in pricing. Many times, life settlement providers are the direct buyers of the policy. When that is the case, they calculate the worth of your policy by assessing your policy and coming up with a realistic offer. However, when brokers take your policy around to different sellers, the biggest problems while interacting with different buyers is that they also look for an offer that would personally benefit them. One of the reasons why it’s better to work with a life insurance settlement company directly rather than a broker is that the sellers are protected from any chances of fraud by the state and federal laws. This means you don’t have to pay a fee to a life settlement provider that you would end up paying your life settlement broker. This is also one of the major reasons why people choose to directly visit a life settlement provider rather than going to a broker. The above-stated reasons justify why more people are choosing to go to a life settlement provider rather than a broker. No matter whether you consult a broker or life settlement provider, make sure you run a background check so that you can be sure that you’re working with the best professional. Checking their license and reviews from various clients would help you evaluate their worth. Furthermore, try looking for references. It’s difficult to find friends or family members who know of brokers or providers of a life settlement. However, you might be able to find a reliable provider or broker through references. So, try your luck there. Both life settlement brokers and life settlement companies can simplify the transaction process for anyone who doesn’t know much about life settlements, the process, and the various factors. When you seek help from the right professional and also take some advice from a financial advisor to be clear if your life settlement transaction is taxable or not, you would be able to progress through every step with ease.